Production still from Thanhouser silent film. 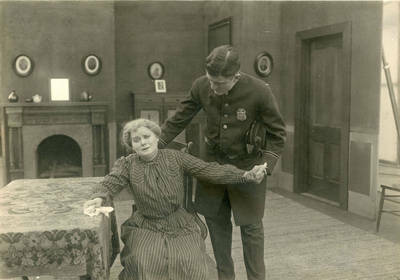 Actor in uniform on the left may be David Thompson; the actress is Victory Bateman. Note the edge of the set is revealed.